Don’t miss a thing, set up your RSS feeds! Choose how you prefer to receive your notifications from the dropdown menu and you can click on “always use Choose Application… to subscribe to feeds” (the name of the application will change once you have clicked on one) if you want to use the same every time. If you choose Microsoft Outlook, you will receive updates via your personal information manager and if you choose Live Bookmarks (make sure you are using Firefox in that case), the updates will appear on the top section of your browser, for example. In this example, I chose “Live Bookmarks” and then clicked “Subscribe Now”. 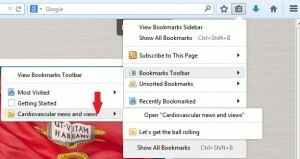 A new window opened and I selected “Bookmarks Toolbar” and then clicked “Subscribe”. I chose not to change the name, but you can if you want to. That’s it, all done! You can confirm by going to the Bookmarks button on the top right corner of your browser (next to the star), then select “Bookmarks Toolbar”, “View Bookmarks Toolbar” and Cardiovascular News and Views should be there, displaying the most recent posts on the right. 3b. If you prefer, select Microsoft Outlook instead, then click “Subscribe Now”. It will open and a window will pop up. Click “Yes”. 4b. 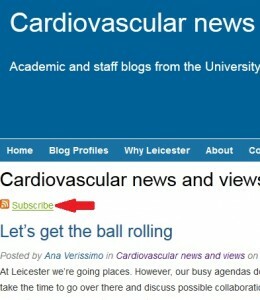 To confirm, check that Cardiovascular News and Views is now under the RSS feeds icon. 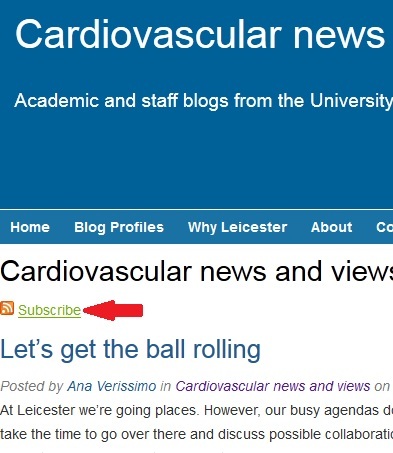 Another very useful application of RSS feeds is to keep up to date with PubMed publications in a certain area of interest or by certain authors without having to constantly access the website. 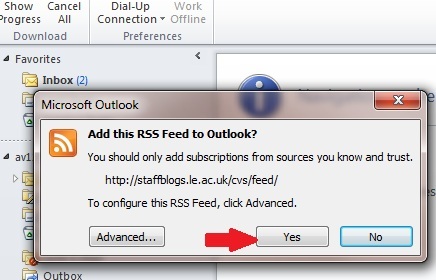 Here is a quick tutorial on how to set up PubMed RSS feeds. Do you regularly use RSS feeds? What are the main applications you use them for? Did you find this post useful? Is there a specific tutorial you would like to see featured on this blog? Please leave your comments below.